Staffed by Certified Kohler Expert Technicians, Expert Dealer provide the highest quality service possible for all types of KOHLER powered products. 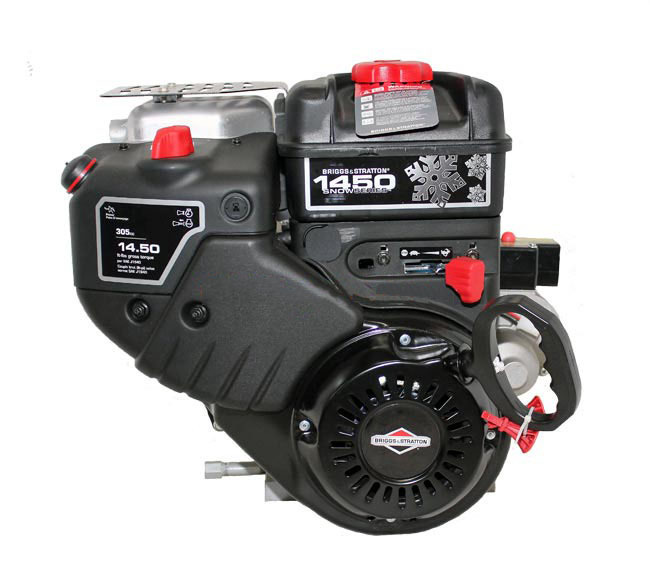 Need to Repower your Briggs & Stratton or Kohler Engine? Call Us 888-652-3990, Live Help Online, Email Us, We are here for YOU. Is by USPS Priority Mail only on parts orders that are in stock! Parts shipped on Saturday are delivered on Monday or Tuesday. Free shipping on engines and short blocks to a business or residential or terminal located within the 48 states. For more details please read our policy in the "Shipping & Returns" section. The new SAE J1940 standard requires all engines produced after and including October 1, 2013 must be within 95% of the declared rated power and torque as opposed to the old standard of 85%. SAE (Society of Automotive Engineers) has also stated that the engine manufacturer must disclose the rpm for rating and with the GROSS (SAEJ1995) or NET (SAEJ1349) horsepower. Note: Engine produced before October 1, 2013 are labeled and rated by the old standard. In most cases the engine displacement (cc) has not changed. Example: Model CH740 with 725cc, before it was rated as 27hp and will now be rated as 25hp under the SAE J1940 standard. The engine has not changed, only how it’s rated under the new SAE J1940 standard. To help you repair or troubleshoot your engine here are some Free Kohler Service Manuals you can download. We have 97.8% fill rate on Kohler parts orders and are shipped out the same day the order was placed. Most of our order are shipped by USPS Priority mail and delivered in 2 days to 3 days within the USA. If you do not see what you are looking for, email or call us and a Kohler certified technician will assist you. Remember our engines and short blocks prices include *free shipping and no tax. Be aware that others may be selling at the same price or may be a little lower only to charge you more for shipping and taxes or they have you pay the freight company when the engine arrives and do not be surprised when you received a $200 to $400 freight bill. Kohler Engines is a division of Kohler Company, founded in 1873 and headquartered in Kohler, Wisconsin and is a leading manufacturer of utility engines. Kohler® produces four-cycle, spark-ignited engines ranging from a 4 horsepower single cylinder to a 31 horsepower twin cylinder engine marketed under the brand names Aegis, Command PRO, Command, Courage, Triad, Magnum, K-Series. 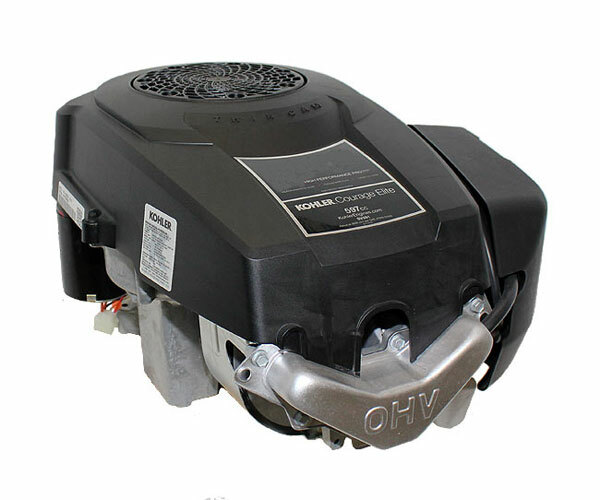 Kohler engines are the premium engines in the market and are known for their dependability and durability. Some have even claimed to have run Kohler engines 24/7 for four or five years, something like 30,000 to 40,000 hours with only changing the oil and filters. That is why you will find Kohler motors used on contractor equipment, industrial application and even consumer equipment too. All Kohler engines are backed by a dealer/distributor network that is nearly 13,000 strong worldwide. To use this website for Kohler parts search, it helps to know your part numbers or a description. The best way is to enter the part number into the "SEARCH" box on the right side menu bar, also there is no need to put spaces between part numbers or the "S" after the part number. The "S" after the part number indicates a service part. The "S" after a engine model example CH25S indicates electric start. If you do not have Kohler part numbers, you will need to look them up. 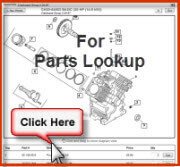 Use our "Parts Lookup" located on the right hand side of this page of the menu bar where it says "Kohler Parts Lookup ". You will need to have the specification number off the engine cover, it is next to the Model number and serial number. This is the easiest way to help you locate the exact parts that fit your particular Kohler engine. examples of specification numbers are 60221d, PS-61557, PA-62501, CH730-0003 do not use the PS, PA when searching your model #. If you need assistance, email us See Contact Us or call us 888-652-3990. We are currently updating our website every day with more products and images so if you do not find what you are looking for give us call at 888-652-3990 or email at See Contact Us and a Kohler Certified Technician will be glad to help. Also if you need to repower your current engine we can help you with that too. As of October 1st, 2012 all Kohler Command Pro Series & Kohler Command Pro EFI engines are covered by a 3yr Kohler warranty. and brings EFI to all COMMAND PRO and AEGIS TWINS as standard offering. Kohler Engines introduces another industry innovation - a closed-loop electronic fuel injection (EFI) engine with the flexibility to use all ethanol fuel blends, from E0 to E85. The new KOHLER Command PRO EFI FlexFuel E85 Engine offers end users an unmatched array of fueling options, which translates to significant savings at the pump. Fuel efficient, cleaner burning engines will soon be the standard —not an option—on all KOHLER Command PRO and Aegis twin-cylinder engines. 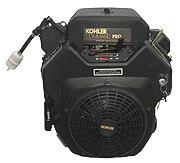 Kohler will begin rolling out the new EFI engines with the Command PRO 25, 27 and 29 hp models this summer. Over the next two years, Kohler will convert its entire Command PRO air-cooled and Aegis liquid-cooled engine, with both the EFI and flex-fuel technologies. Kohler partnered with Delphi leading global supplier of mobile electronics and transportation systems to design this new flex-fuel EFI system with patent-pending technology that will offer significant fuel savings, improved performance and reduced emissions. KOHLER flex-fuel EFI models will be available on 26 twin-cylinder models available ranging from 19-41 hp, and will operate efficiently and without excessive wear on the engine when E-85 or any other ethanol-fuel mix is used. An additional benefit of the new KOHLER flex-fuel EFI engines is instant load response. The KOHLER exclusive EFI system allows the engine to respond with peak KOHLER performance even in changing altitudes and load requirements, which in turn, operates at top efficiency Kohler also designed this new line of engines within the same footprint as its current Command PRO and Aegis models, so that OEMs can easily drop in the newest KOHLER engine without altering the end equipment design to accommodate the engine. This is accommodated by Kohler's exclusive self-contained EFI design, which features only one fuel line rather than an additional return fuel line with a special harness. The fuel module, electronic control unit and sensors are also all engine mounted. The new standard in twin-cylinder engine performance. Only KOHLER closed-loop EFI engines include an oxygen sensor that analyzes the air/fuel mixture in the exhaust. If the oxygen level strays from the ideal air/fuel mixture, the sensor triggers adjustments in the Electronic Control Unit (ECU). Only KOHLER closed-loop EFI engines “close the loop” between the air/fuel intake and the exhaust output to provide a constant stream of critical feedback – and optimal power and fuel economy. The closed-loop advantage also means that only KOHLER closed-loop EFI engines automatically adapt to load, weather, fuel and altitude changes.